HyperTron CollideScope are an explosive new original two-piece 'Ultra Love Rock' band. With frontman Wade Danger on vocals and guitar and Jay Riley thunderously pounding the drums, these two high-velocity individuals create enough roar sonic energy to blow any standard rock outfit off the stage. Their original music features a variety of themes from politically-charged rant fests and heart wrenching pop-rock ballads to chugging Apocalyptic metal brutality, but their focus is mainly on Zepplin-esque sultry love rock. 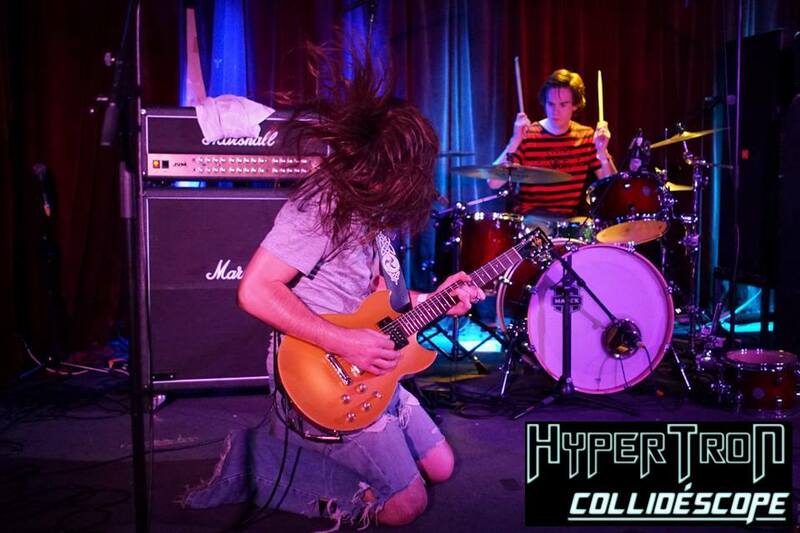 You can find HyperTron CollideScope in their natural habitat on stage at Rock Bars, Dive Bars, Live Music Venues and Music Festivals.